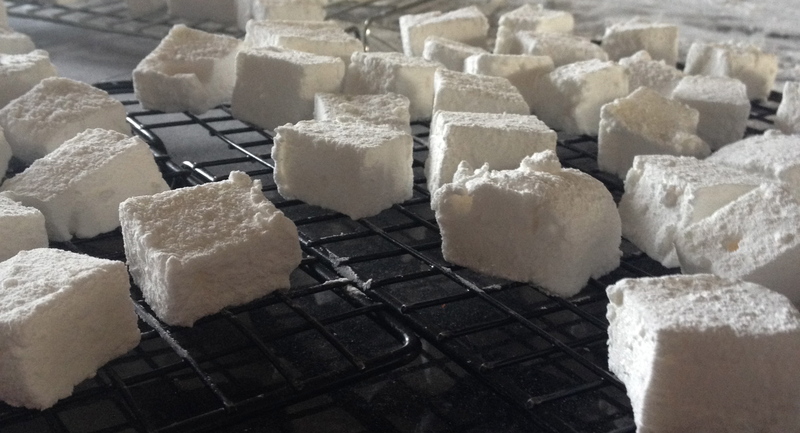 This week I thought it would be fun to make marshmallows although it doesn’t have any baking in it. 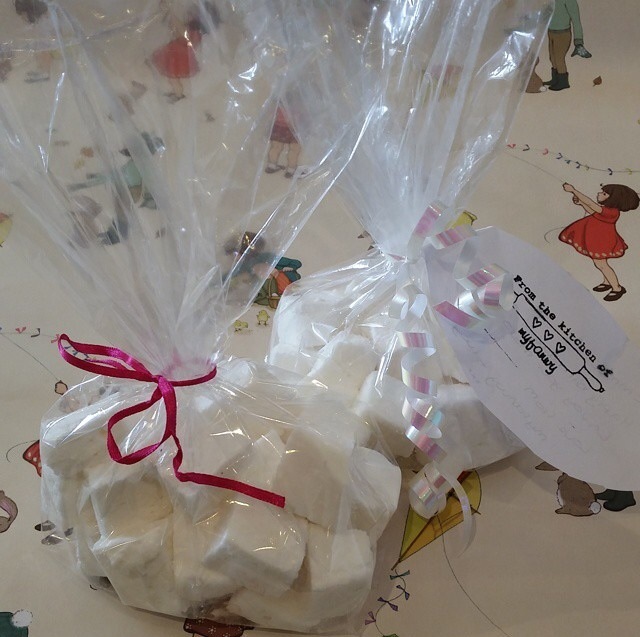 Marshmallows have gelatine in them to make them like marshmallows. You start by whisking up egg whites then you make a syrup which made up of soaked gelatine leaves, sugar, water and liquid glucose. This is all boiled up until it reaches 127 degrees then you gently whisk the syrup into the egg whites and then you put the mixture into a tray and leave it to set for an hour before cutting it into small squares.